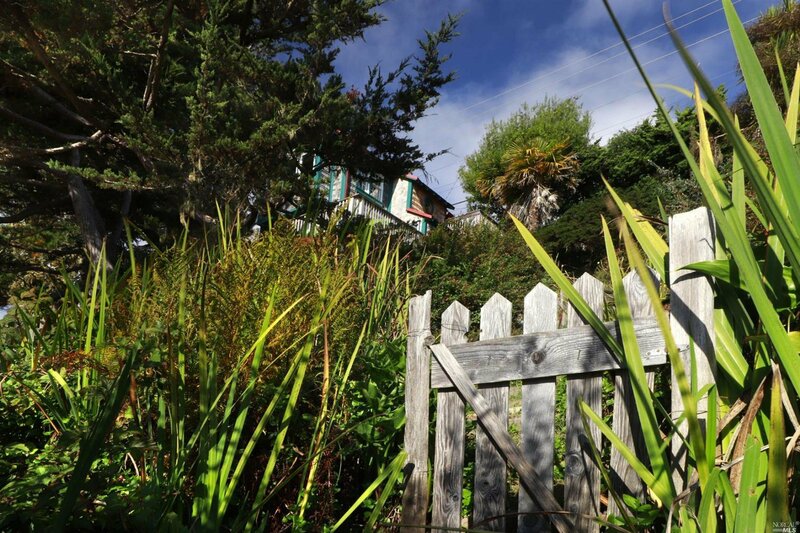 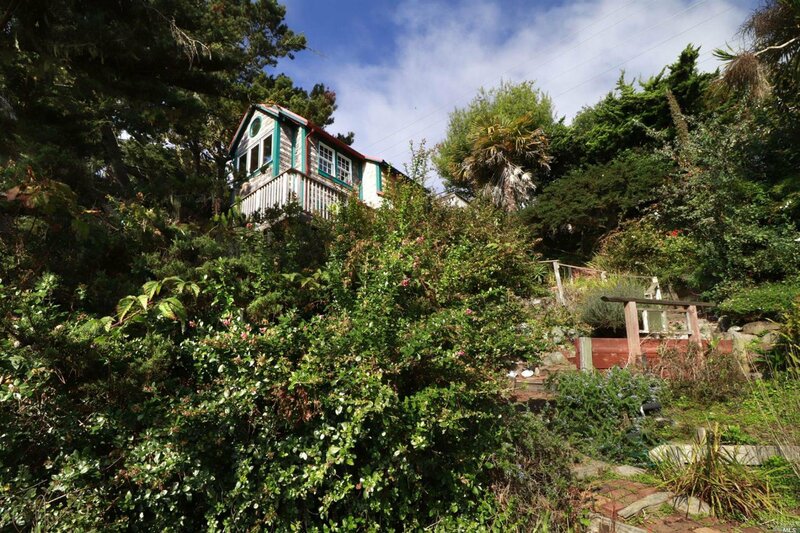 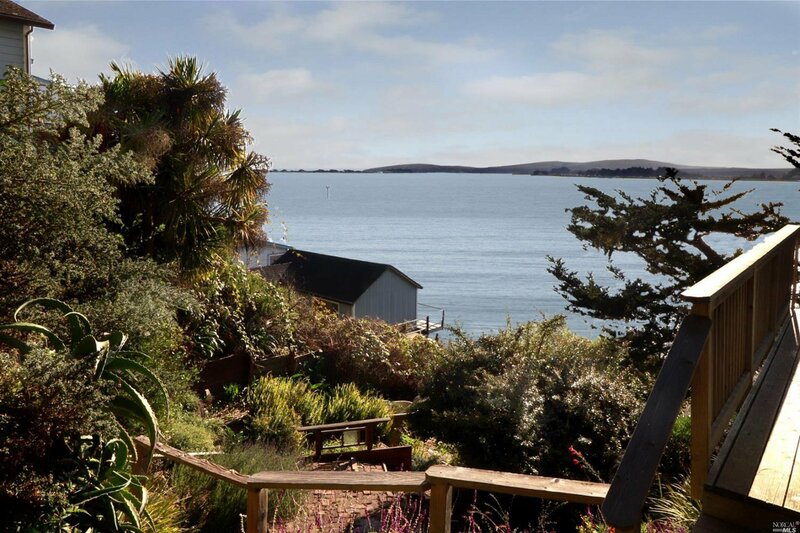 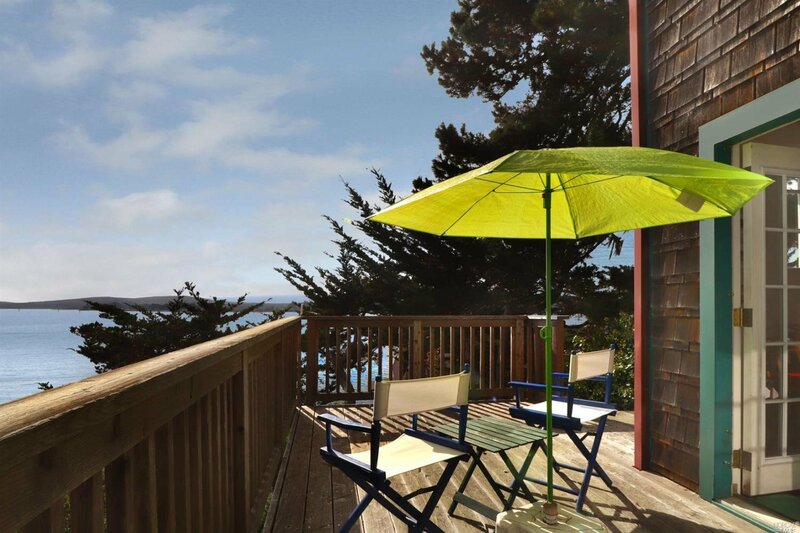 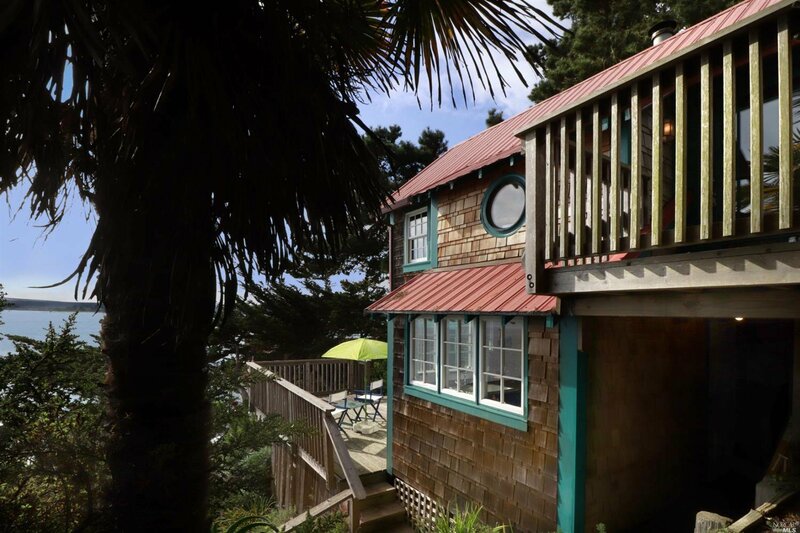 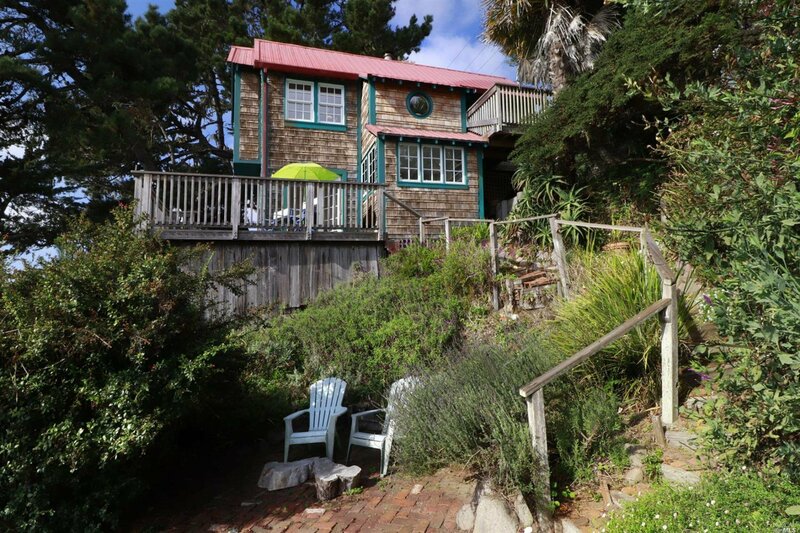 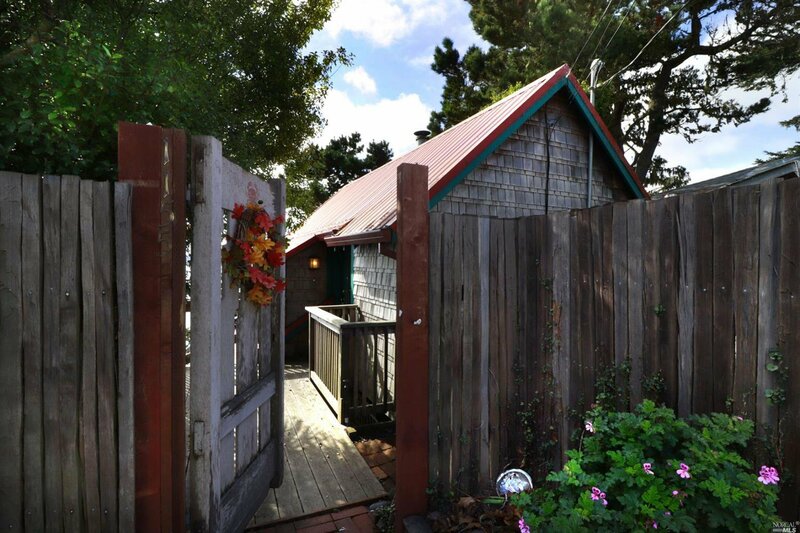 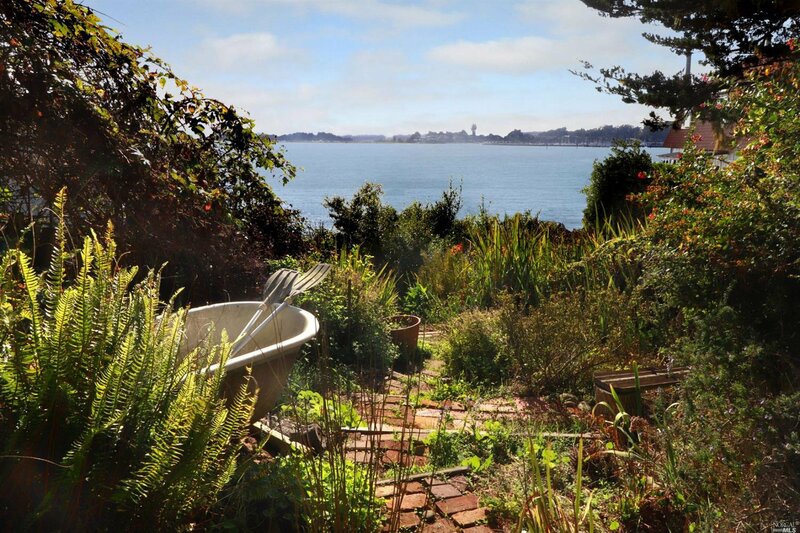 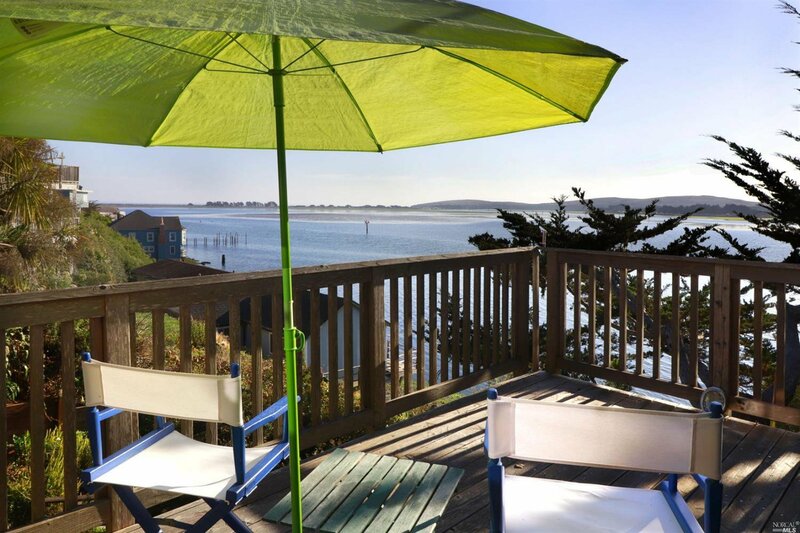 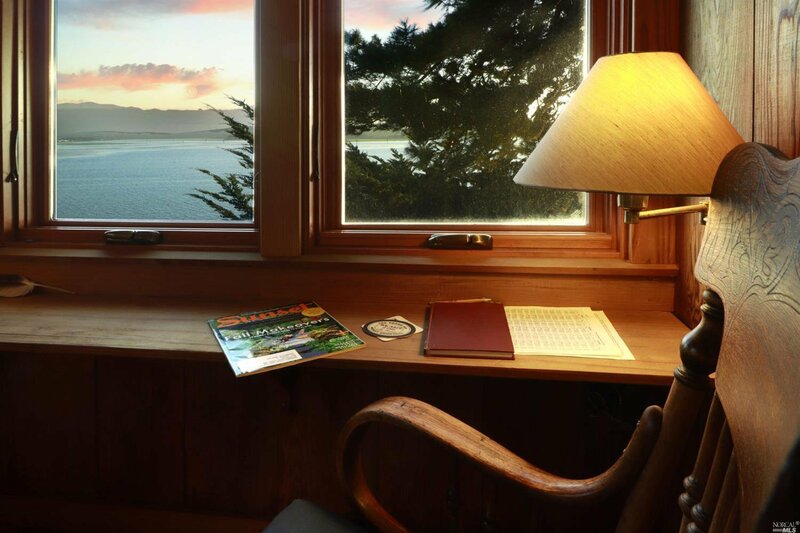 This quintessential coastal cottage overlooking Bodega Harbor features its own unique garden with a meandering path leading to the water's edge. 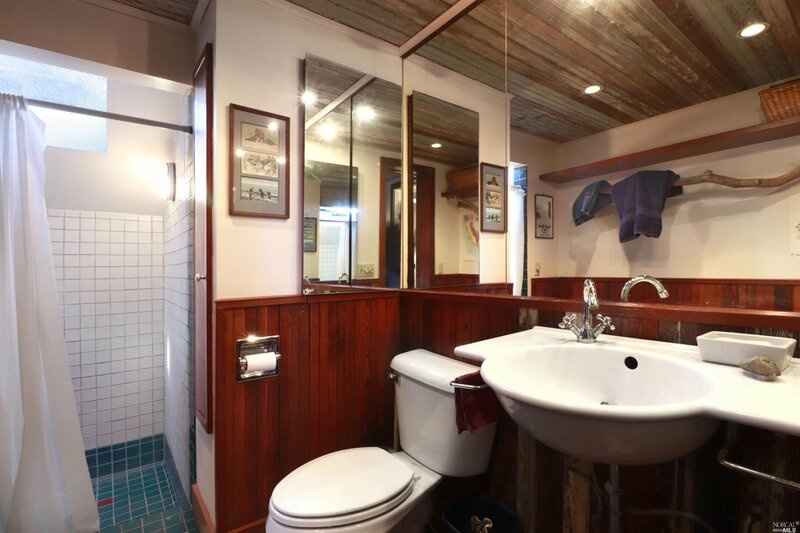 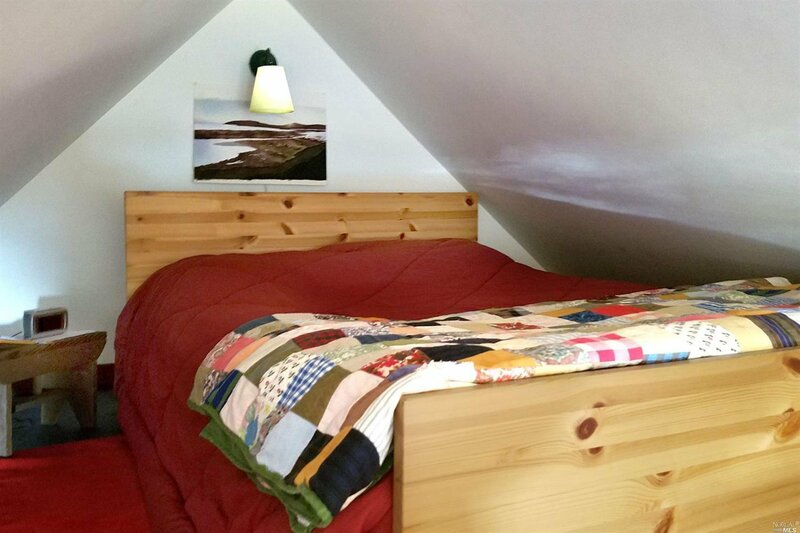 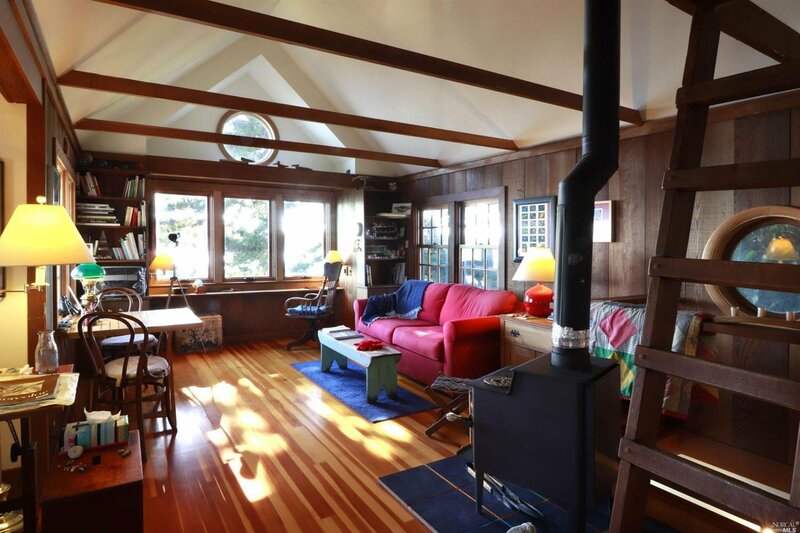 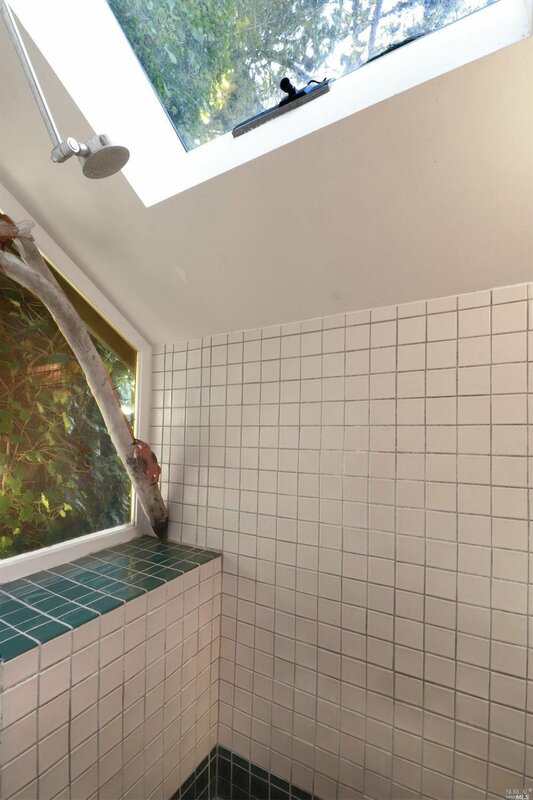 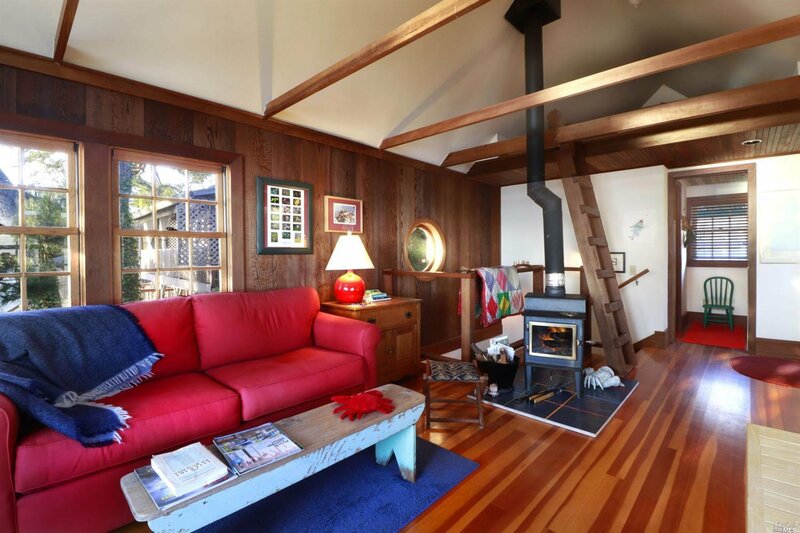 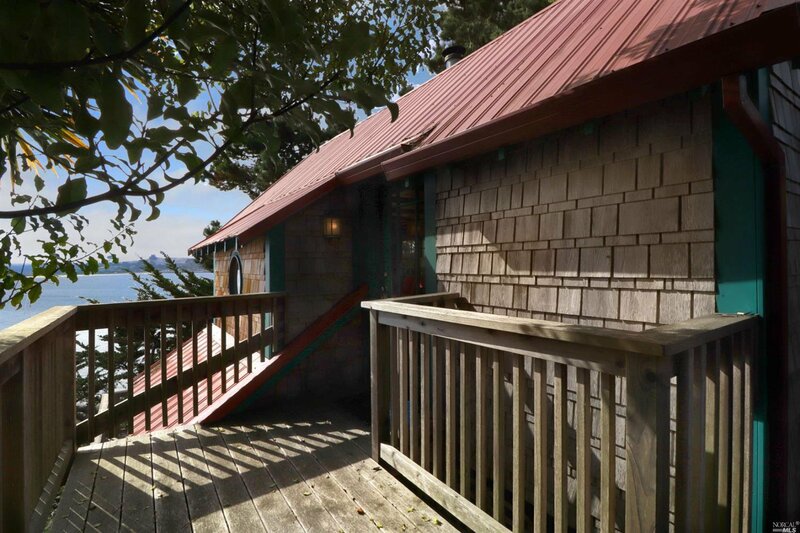 Upper level includes a living room with Douglas fir floors and wood-burning fire place, spacious tiled bath and sleeping loft. 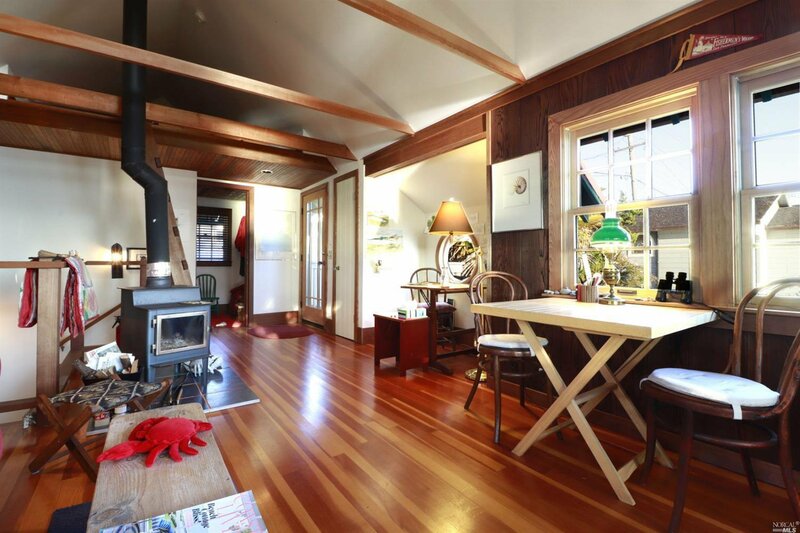 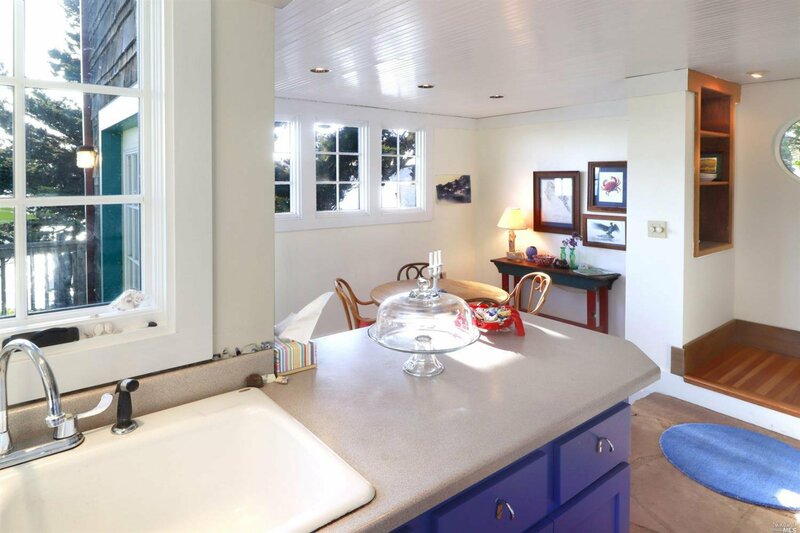 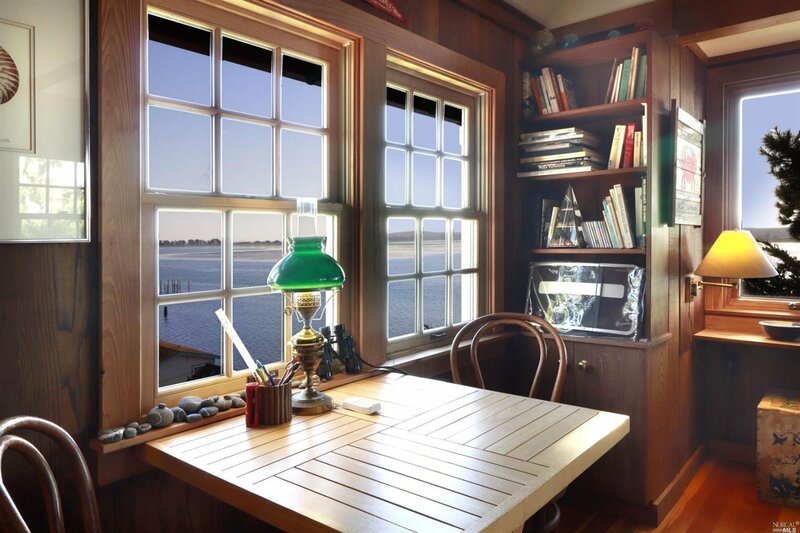 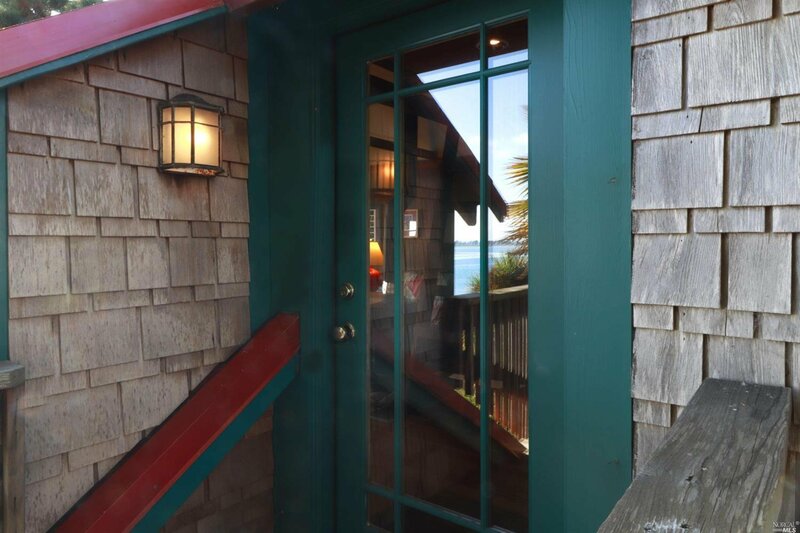 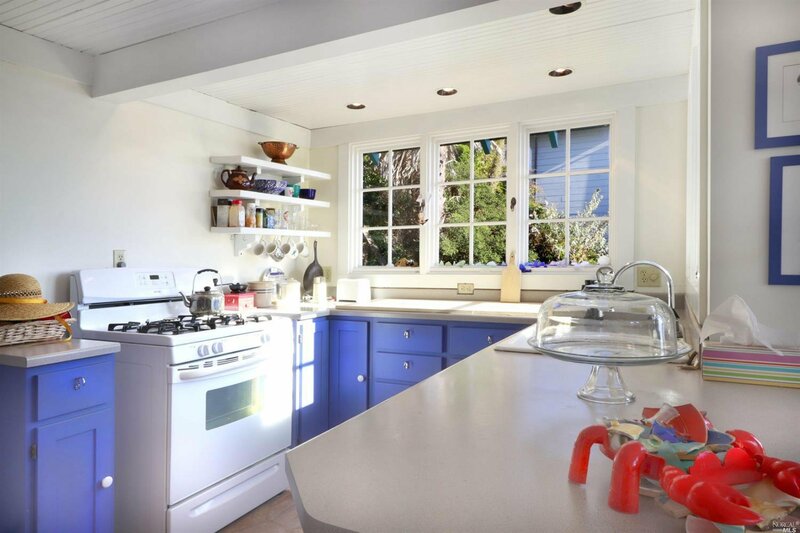 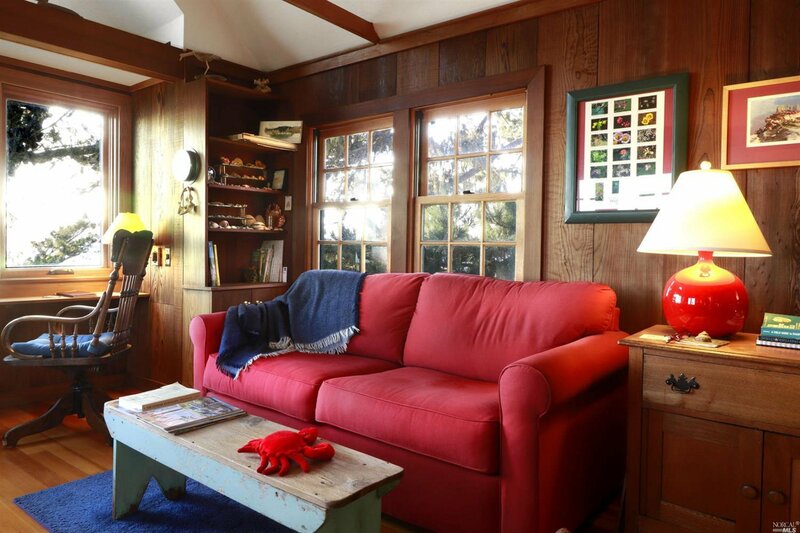 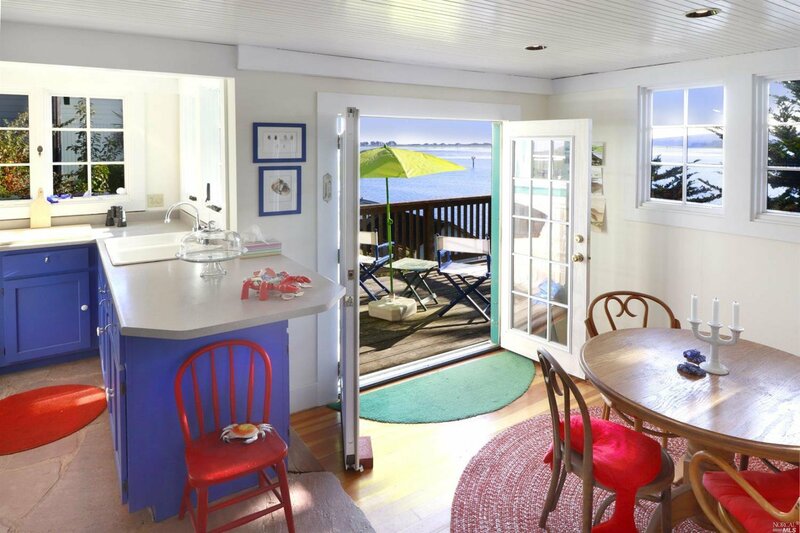 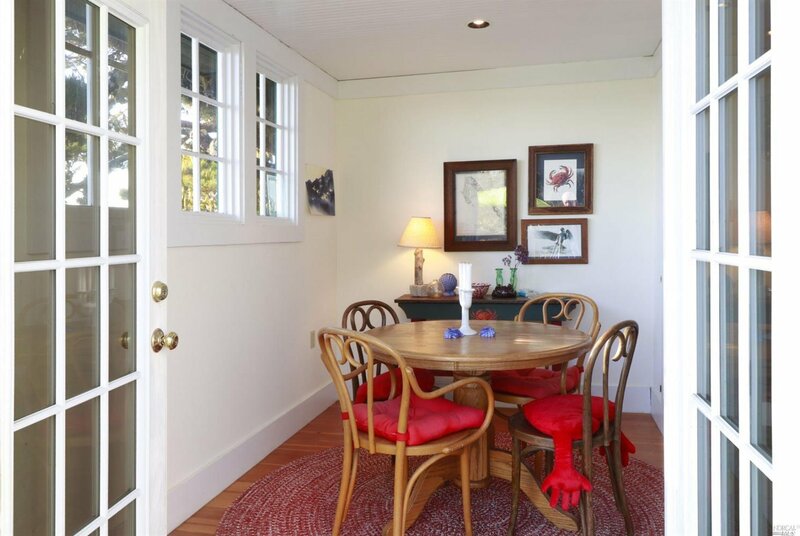 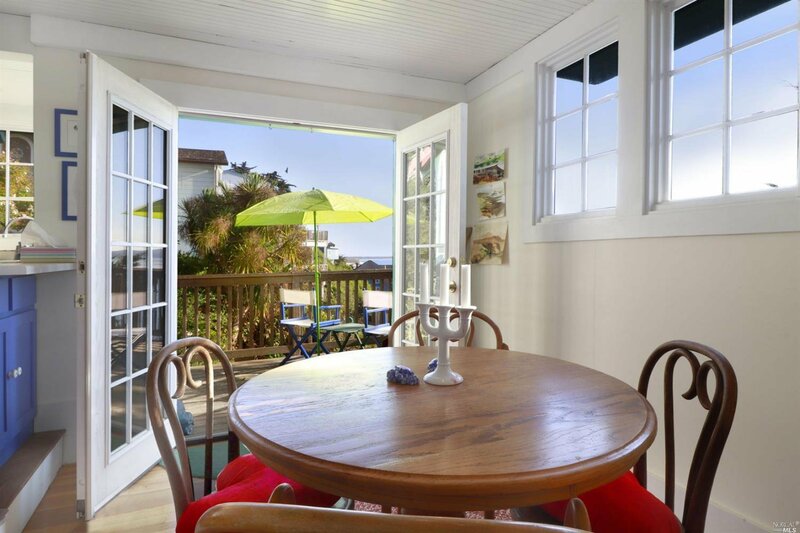 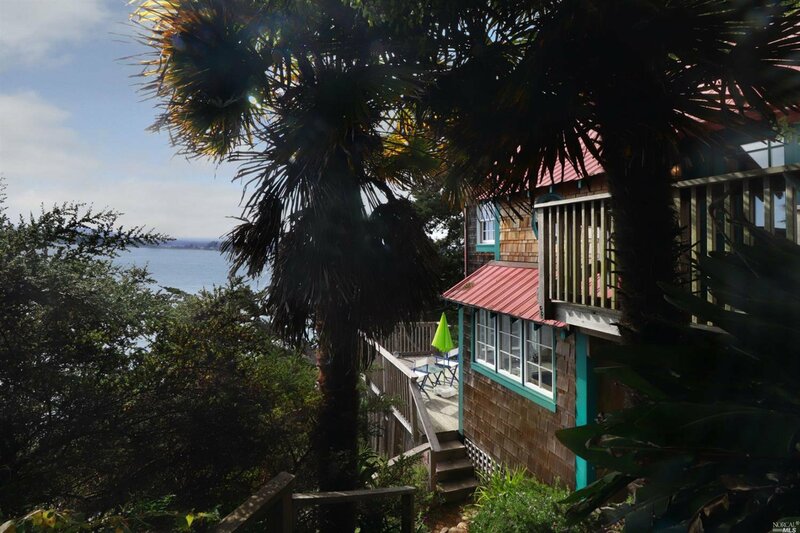 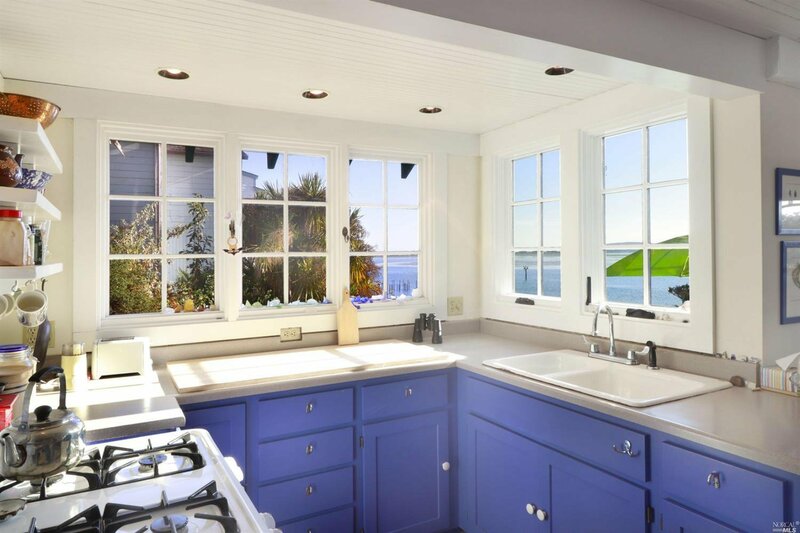 Downstairs is a charming kitchen and dining area with French doors leading to a deck with views over the bay. 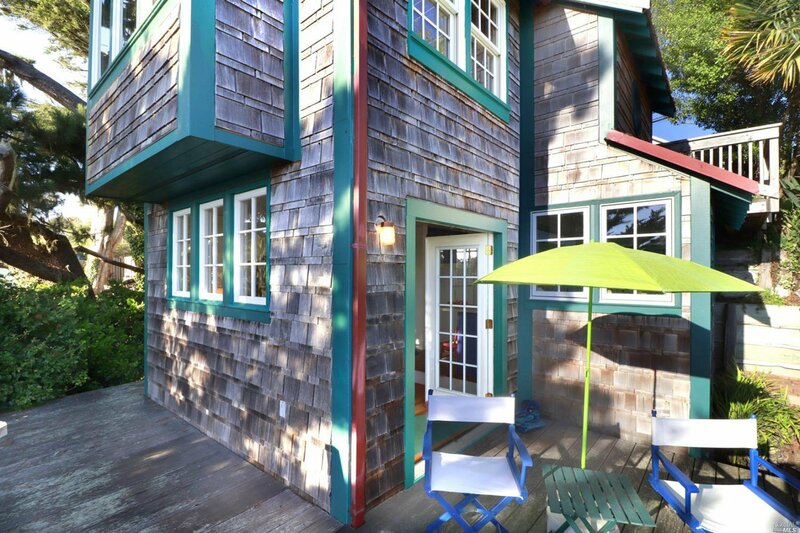 This home makes for a perfect artist retreat or weekend getaway.